Samsung not only have showed the charisma in IFA 2012 with its smart phone and tablet technology but also have showcased their expertise in the department of Digital Camera and Photography. 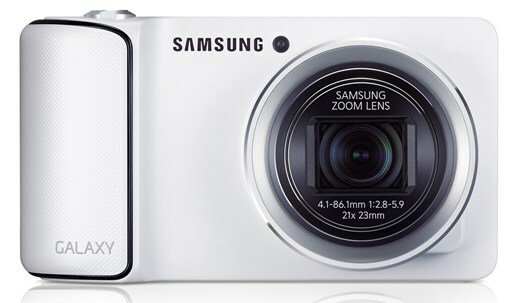 Today, Samsung has launched the first true smart compact hybrid camera which they named as Samsung Galaxy Camera. Samsung Galaxy Camera has got 3G/4G, WIFI, power of Android and much more in the core. Along with this it also has got 1.4 GHz processor which will completes your picture with fined details and offers the smooth and soothing run. It is an optically stabilized 21X Zoom camera which has got the better conventional control and the touch screen interface and contoured handgrip for better hold. This 16.3 MP camera with 4.8 inches touch display is exclusive and offer optimum performance as it runs on Android. It is the first connect camera to be offer with OS, WIFI and all other smart features. Samsung Steals the Show in IFA 2012 - Note 2, Ativ S & Ativ Smart PC Tab Announced!